monopoly and a great promotion campaign, she quickly became a commercial success. as was common practice in those days. 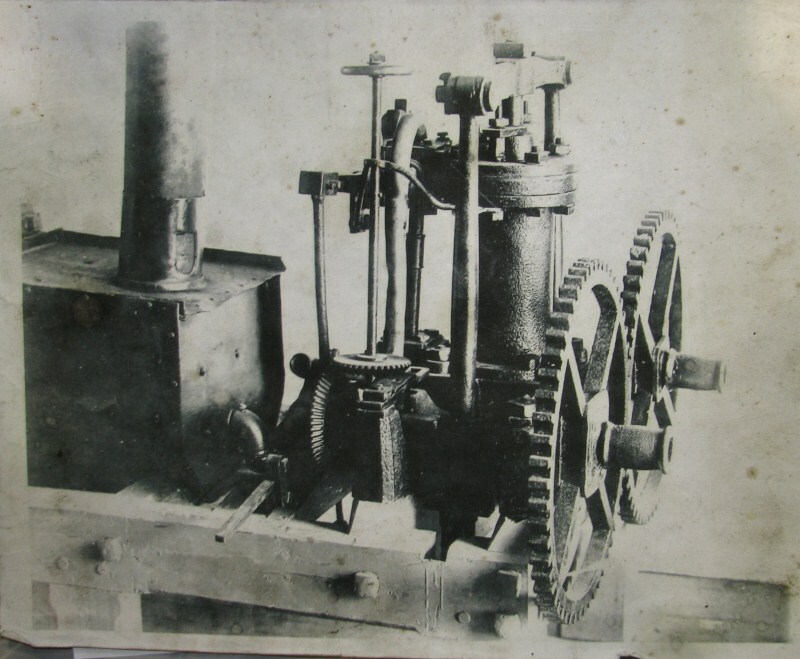 The engine was built by James Watt and modified for marine use. This epic event was widely reported and treasured in all school history books. There is no doubt that Robert Fulton was an exceptional man. 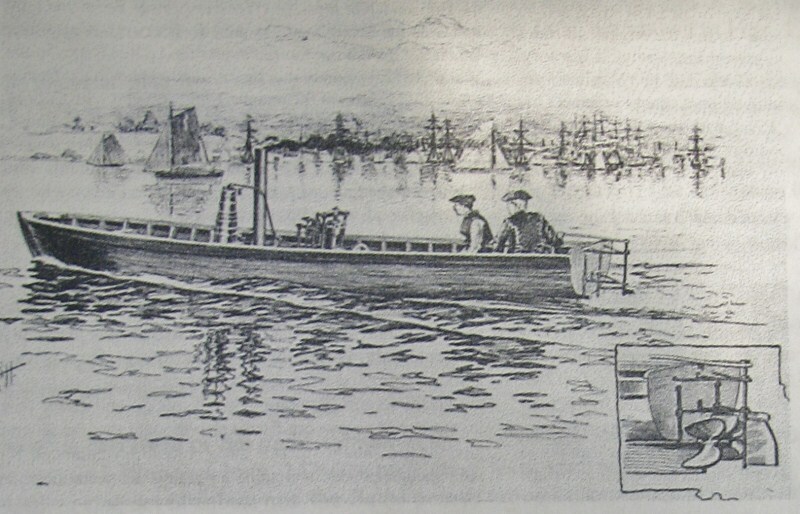 However, three years earlier, Col. John Stevens had begun operating a steamboat from The Battery on the tip of Manhattan to Hoboken, New Jersey. of pressure of 58 PSI, and a cruising speed of 8 miles per hour. New York City residents would crowd the dock daily to watch the boat dash across. Undoubtedly, this was the 1804 technological equivalent of the modern stealth fighter aircraft! 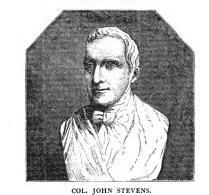 But, have you ever heard of John Stevens? 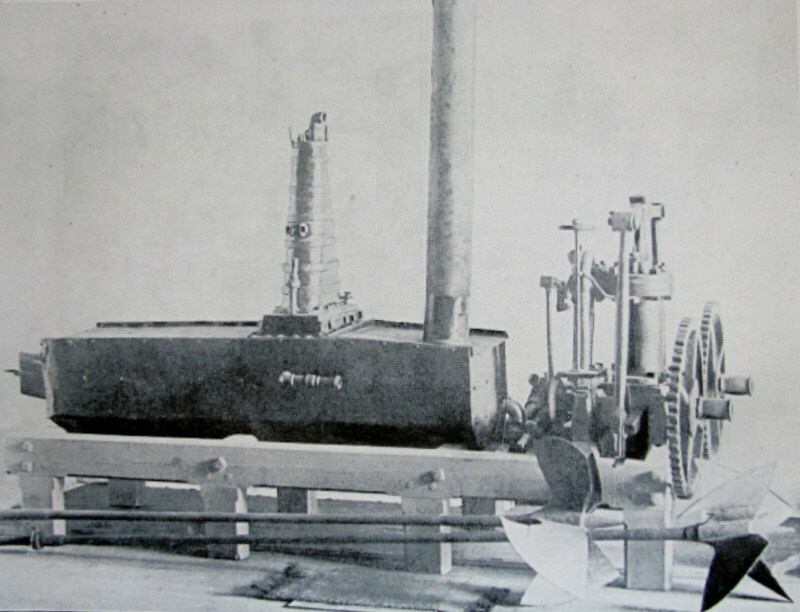 Original engine is now at the Smithsonian in Washington, D.C.
he predicted many of the attributes of steam and modern railroad locomotive practice. Look him up on Google Books. You'll be amazed! 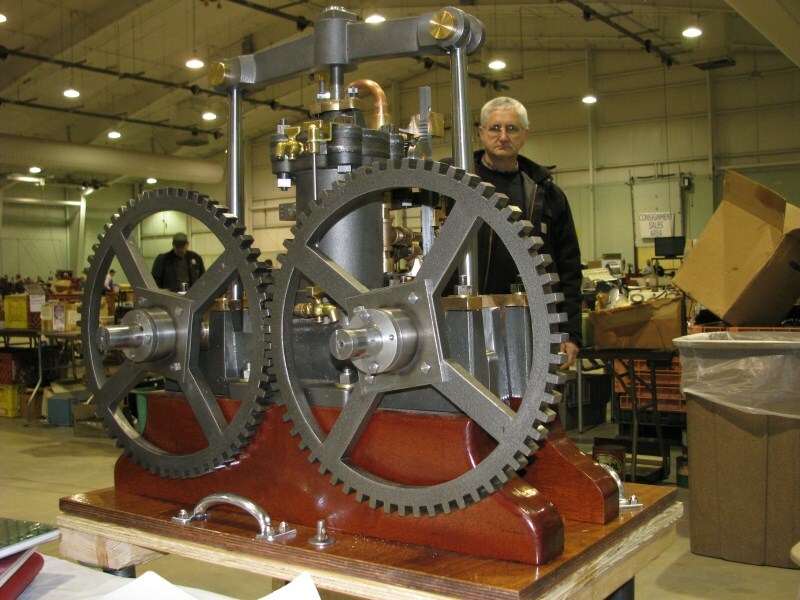 Carl Kriegeskotte, who is a very clever engine designer and builder, has built an operating replica of the engine, entirely without plans. 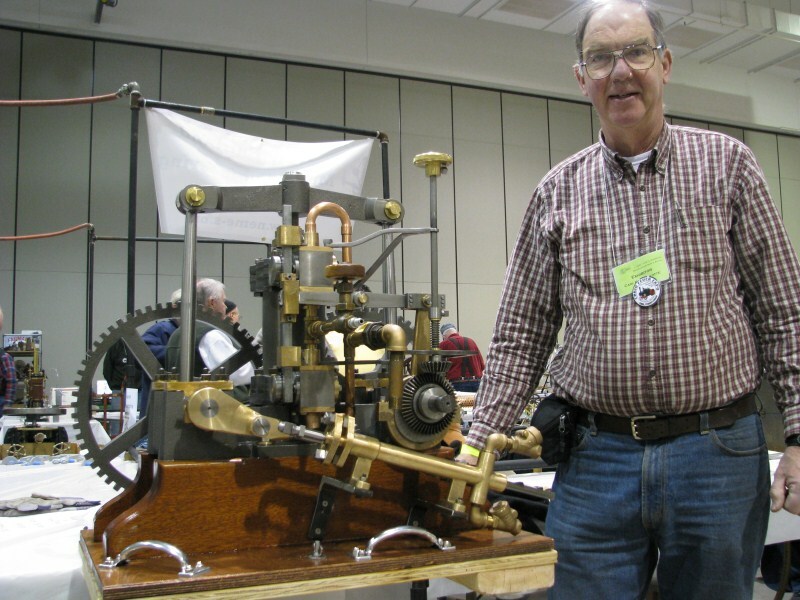 He has thoroughly researched this engine and sought the advice of Ray Hasbroucke and others to keep this engine as accurate a replica as possible. semi-rotary valving, all just as in the original. 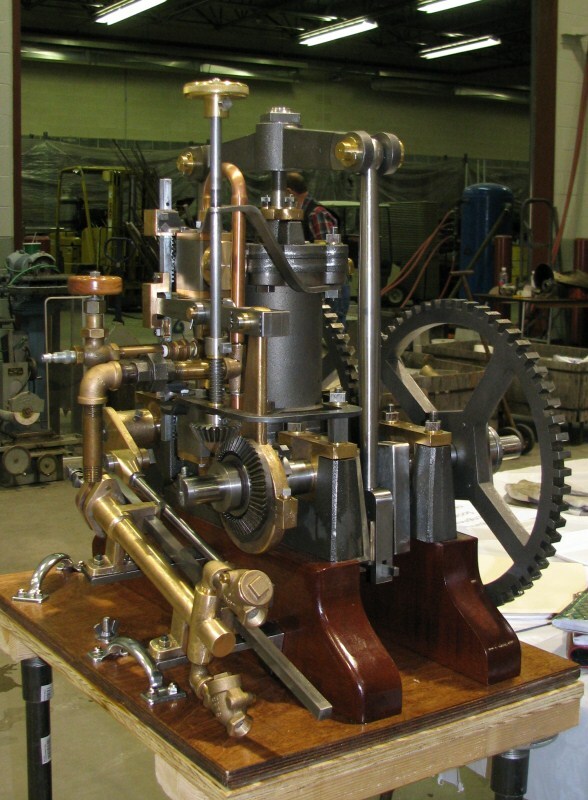 At a time when engineering, machining and tolerances were crude, this engine stands out like no other. Not only does it work, it runs beautifully. View of front of engine from left side. Note the bevel pinion gearing for the slip eccentric. The water pump is mounted ahead of the engine. 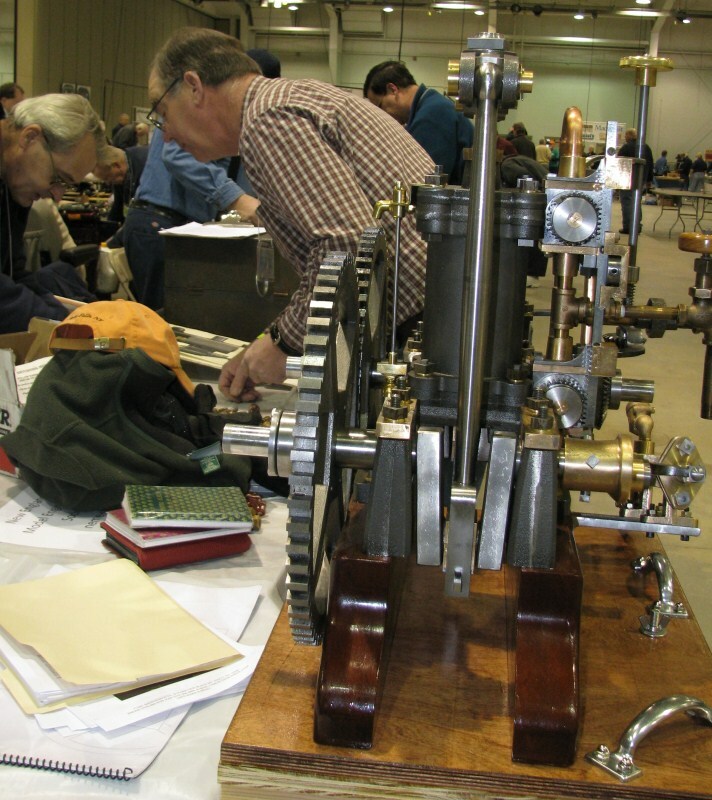 Betcha Carl had lots of fun making these square-cut gears!! Carl will be installing this engine in a Whitehall-type hull to complete the Stevens project. I don't know about you, but I can hardly wait to see it in operation. We'll be following the story in Steamboating Magazine.